An after surgery support camisole made of soft, lightweight, stretchy memory fabric to provide comfort, shape, and protection without rubbing or binding. Designed exactly like the Softee® Roo but midriff in length, the Support Softee® is the ultimate in providing shape, comfort and security. Because this garment is shorter in length it is cooler while still providing the front panel design to hold the included soft and lightweight Poly-Fil Breast Forms. Comes with 2 Ladies First lightweight Poly-Fil Breast Forms specially designed to fit this camisole. 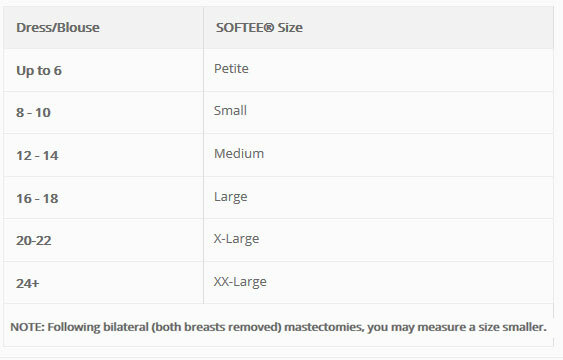 Get the lowest price on Ladies First Support Softee/sale Support Softee - Post Surgical Bra/Camisole. We are dedicated to always offering the best service and value to our customers. We will match the price, at the time of purchase or until 7 days after your purchase, on a Price Match Guarantee product if you find the same item ( Ladies First Support Softee/sale) at a lower price at a Designated Major Online Retailer or at a local retail competitor's store in the US.